That's too bad,did he say why they stopped? As far as street parking,the area seemed safe to me, Also the shul lot itself is open to the street. So I don't think the actual street would make much of a difference. Although I never tried it. just to make sure i have it correct, this is the Rockwood Park Jewish Center? I parked across the street from the ohel, and took a car service. 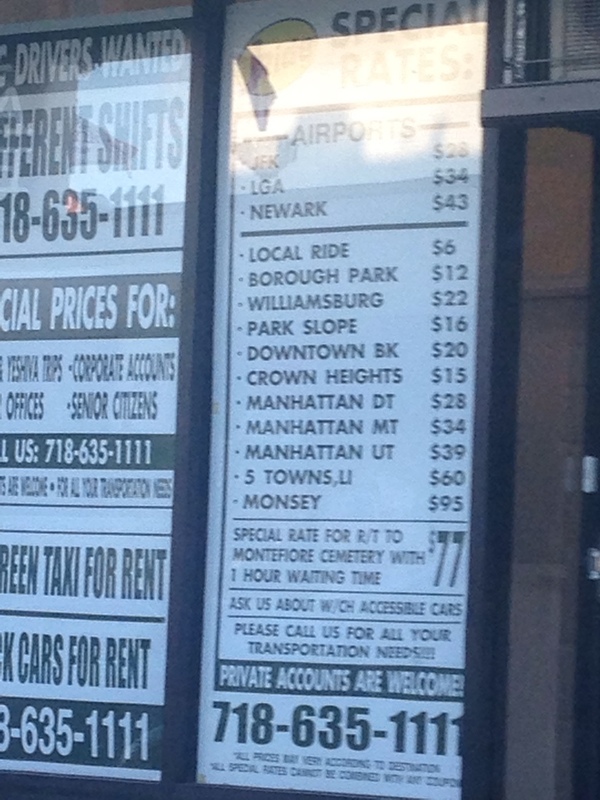 Personally, I feel that if your coming from the Brooklyn area, It makes more sense to just take a car service, which will cost you bet. $25-28. It's a big pain driving farther from the airport, and having to wait for a car service to pick u up etc. issue is im coming from NJ. also when I land I want to be on the road asap. There is a place on east 14th bet. ave. I and J that charges $28 to Jfk. I'll post the number next time I pass. Church ave. charges $30. Does anyone know if there is alternate side parking on the street?